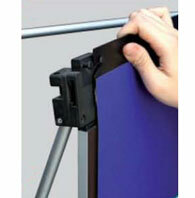 Have you considered using pop up display stands to advertise your business and create buzz for your products? If not, then you really should. Attractive and properly placed popup displays will surely go a long way in catching your customers’ attention, boosting your sales, and generating better leads and, eventually, more profits for your business. 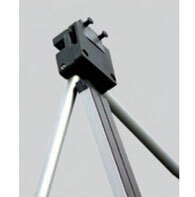 We have pop up display stands that you should definitely check out. Our 3×1 pop up display stands will definitely help you get the job of advertising your business done. 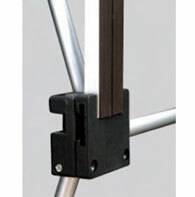 These stands are compact, measuring 1260mm wide, 260mm deep and 2310mm high. Their size allows you to place them anywhere. 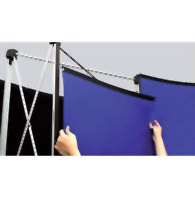 And although they’re narrow, these stands can certainly draw attention, thanks to the set of high-quality laminated graphic panels that come with the package. These graphic panels are printed in full colour using only the best and the latest in wide-format printing technology, guaranteed to transform images of your products into visual treats. The images on the graphic panels can be enhanced even further by the pair of halogen lamps included in the set. 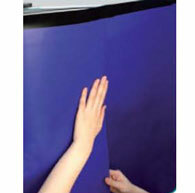 They will set a spotlight on your graphic panels. 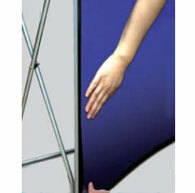 Moreover, you can choose between double-sided and single-sided graphics for your display. The double-sided option is perfect for occasions when your audience would have a 360-degree view of your exhibition; installing double-sided displays will maximise their power and visibility. 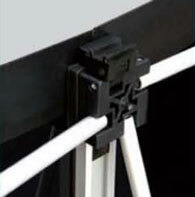 The 3×1 pop up display stands we offer are also durable and practical. Their frames are made of aluminium with silver finishing for a truly professional look. And not only are they neat to look at – assembling the entire display doesn’t require much effort as well. It takes only less than ten minutes to complete, allowing you more time to pay attention to your other tasks. 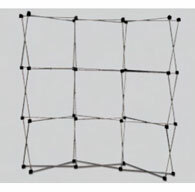 How do you assemble these displays? 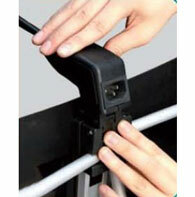 You only need to “pop up” or pull at the aluminium frame so it stretches to its full height and width. 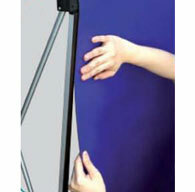 Then you attach the graphic panels to the frame with the help of its built-in magnetic strips. If you’re converting the carry case into a countertop, just pull the graphic wrap over the carry case to cover its body. And then you put the wooden tabletop over the carry case. It’s that simple, and the result is neat and seamless. 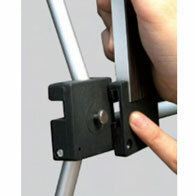 Adding to the practicality of these display stands is the carry case that comes with each set. This carry case can easily fit inside your vehicle. 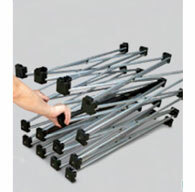 It is wheeled for portability so you can take it from place to place without a lot of fuss. You’ll also find the carry case extra useful if you’re going to set up your display stands at an expo or product demonstration. That’s because the case comes with a graphic wrap and a wooden table top that you can use to convert the case into a counter. This counter can serve as a holder for your sample products, pamphlets, brochures and other exhibition paraphernalia. The converted counter can also function as your workstation at your exhibition booth. The biggest advantage you will definitely enjoy from these pop-up stands is you will save money on purchasing them in the long run. 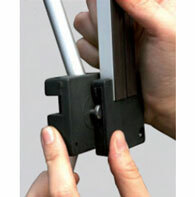 This product is secure and stable, as well as highly resistant to damage. 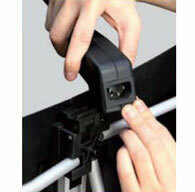 You will get a lot of mileage from using these stands. 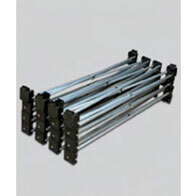 You can use them as frequently as you want, and they can fit any type of venue. You can even mix and match them with other sizes of this display type, namely the 3×2, 3×3 and 3×4. Of course in time you will get tired of the look of your graphics panels and will want new ones. When that happens, you don’t have to buy an entirely new set of displays. Just order a set of replacement graphics panels from us at a cheaper price and keep your old aluminium frames if they’re still intact and undamaged. This will save you a lot of money in the end. These 3×1 pop up displays may be smaller in size, but they are just as effective in catching customer attention as the bigger pop-up displays. With proper planning and use, these display stands will certainly boost your sales and help take your business to the next level. We deliver to any location in Australia, including Sydney, Melbourne, Perth, Adelaide, Gold Coast, Brisbane, Darwin and Canberra. 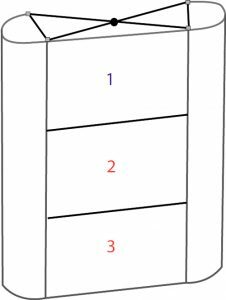 Call us for more information on these 3×1 pop up display stands today.